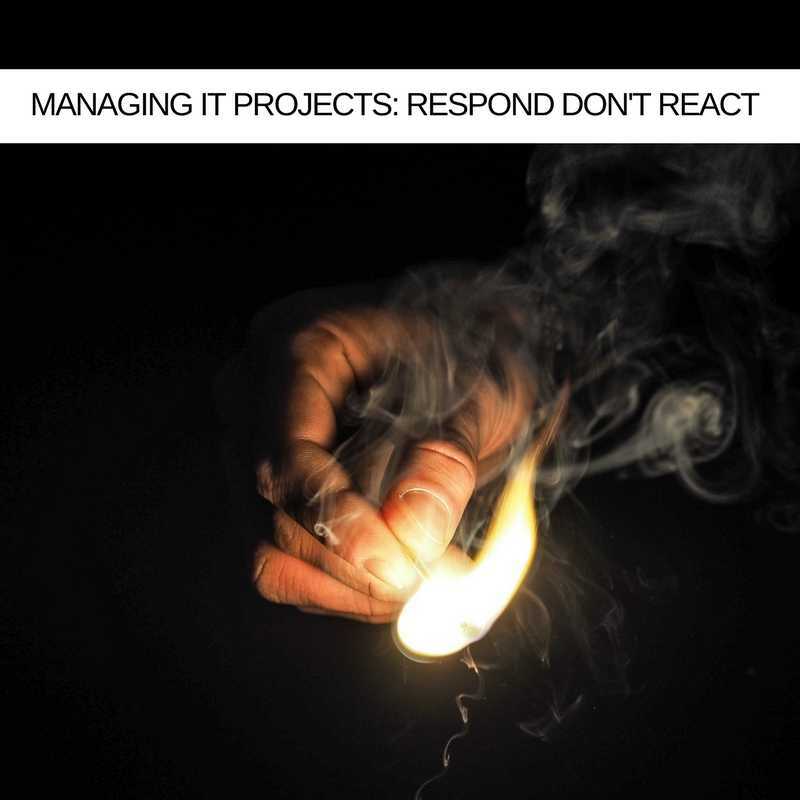 In IT Projects, when something unexpected happens, I get better results when I respond, than when I react. You may have sussed this for yourself ages ago but my epiphany, strangely, came when I met a St John Ambulance community first responder. He was telling me about a traffic accident that he'd attended. He was first there and because the ambulance was struggling the get through the ensuing tailback, for some time, he was the only medical support on the scene. "How do you react so calmly?" I asked. "You don't react, you respond," he said. It hadn't really occurred to me before this that there was a difference between the two but, of course, there is. If you or I had been first on the scene our first reaction might have been to blanch at the sight of the injuries, recoil at the state of the mangled cars or just plain freak out! These would be natural and justifiable reactions, but they wouldn't be helpful responses. Responding means that you objectively assess the scene in front of you before choosing the course of action that best suits the circumstances. It's the same with IT Projects. Much of our time as project managers is spent reacting to external stimuli, stakeholder requests or events that happen along the way. The thing is, just like at the road traffic accident, when you react you might not always choose the best action and could even make things worse. In our world, for instance, a perfectly justifiable reaction to a stakeholder request might be to say a straight "no" or "yes" - especially the latter if the stakeholder is "important" within the business or a straight. A more thoughtful response would be to assess the impact of the request on your overall project, might it make you deliver late, for instance, or put pressure on your budget? You could explore how the scope change could be incorporated, perhaps negotiate a new deadline or an increase in budget. This simple illustration demonstrates the difference between a reaction and a response. So how do you achieve the latter? 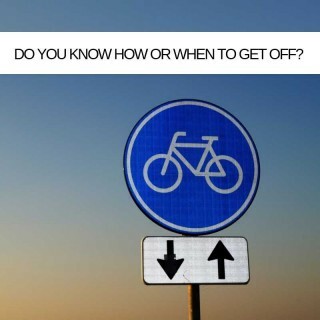 The answer seems to be ... to pause. In his book, “7 Habits of Highly Effective People”, Stephen R. Covey writes, “In the space between stimulus (what happens) and how we respond, lies our freedom to choose. Ultimately, this power to choose is what defines us as human beings. We may have limited choices, but we can always choose. So, it stands to reason that you should try to make that space as large as possible, right? Not easy! For many, me included at times, the gap between stimulus and response is a short one. The problem is that many people react without thinking, they don’t choose their response, their behaviour follows a predetermined pattern. To use Covey's words, they are acted upon! You don’t need to accept reflex reactions though you can choose to expand your response space. Like most things, practice makes perfect. Mark, a veteran (his words) IT Project Manager tells me that he literally counts to ten out loud before responding, Kathryn says that she takes three really deep breaths and Malc wanders outside for a "cigarette and a ponder". Whatever works for you! Expand the space between stimulus and response and you get a more measured, considered response but I think that there is more to it than that. Sometimes the problem is not the amount of time you take to respond but the tools at your disposal. Think about it. Most responses are based on your experience. Often, it won't matter whether you have ten seconds or ten minutes to come up with a solution because you will still be looking at your problem through the same lens. What you can do though, is use the extra space to broaden your lens. Asking for another perspective, either from a colleague or your Project Management as a Service partner, boosts potential response options. The latter can provide a totally independent viewpoint and give you access to a whole range of services, solutions and best practice thinking making your response space extra efficient! In conclusion, responding is clearly the wiser choice but often speed is of the essence. In a crisis or when an emergency situation arises you may be tempted back into your split-second reflex reaction mode. It is worth considering that the best "crisis managers", firefighters, doctors, police officers, the St John Ambulance guy, etc, are highly trained to respond. They regularly practice a range of scenarios, so they will respond rather than react should they actually happen. It doesn’t make you slower, just more thoughtful in your response. Indeed, at your workplace you run regular fire drills for this very reason. In a fire, the effectiveness and speed of your response would really matter! Preparation is key. You could prepare yourself today by taking a helicopter view of your IT Project Portfolio or catching up with your PMaaS partner, you could revisit past challenges and see if there was another way or email a colleague and ask what they would have done in your shoes. The more you practice responding, the better you will get.